Whether you’re planning your first trip to New Orleans, or you’re an experienced traveler returning for French Quarter Fest, you’ll be pleased at the myriad of transportation options available to travelers. While New Orleans has always been a very walkable and bike-friendly city, in the last few years even more ways to get around town have emerged, including pedicabs, Uber and Lyft. Here is our transportation guide for getting here, and getting around New Orleans once you’re here. If you’re driving to New Orleans, Hotel Monteleone and the French Quarter are easily accessible from Interstate 10. (Read our FAQ page for detailed driving directions, from east and west.) Generally speaking, parking in this historic neighborhood is limited, but Hotel Monteleone is proud to offer valet parking for all hotel guests. Our parking availability for oversized vehicles such as F-350s and 15-passenger vans is limited, however. If you’re flying into Louis Armstrong International Airport, you can take either a taxi or Airport Shuttle to and from Hotel Monteleone. Airport Shuttle is located on the ground level (baggage claim) area of the airport, and the current charge is $24.00 US per person (one way). You can also take a taxi directly to our French Quarter hotel. Taxi fare from Armstrong International Airport is $36.00 for 1-2 people traveling together, or $15 per person for groups of 3 or more. While Uber and Lyft are now available in the New Orleans area, they do not currently service the airport. Once you’re here, you’ll find that with the many potholes, one-way streets and limited street parking found throughout New Orleans, it is much easier for visitors to skip driving and use alternate means of transportation. 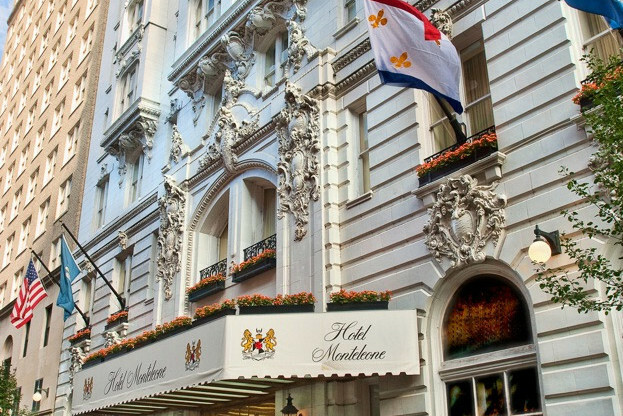 Luckily, these are plentiful and most attractions are easy to get to by foot or public transportation from Hotel Monteleone. Our historic hotel is located in the heart of the French Quarter, just steps from the nightlife of Bourbon Street, antique shops and galleries of Royal Street and boutiques of Chartres Street. Jackson Square and Cafe Du Monde are a short walk from our front doors, and the Aquarium of the Americas and the Shops at Canal Place are also within walking distance. Pedicabs also offer a convenient way to get around the French Quarter and surrounding neighborhoods. If you’re planning to make a night out on Frenchmen Street part of your New Orleans vacation, a pedicab ride offers a memorable way to get back to your hotel room afterwards. There are 3 pedicab companies currently operating in New Orleans: Bike Taxi Unlimited (504-891-3441), Need a Ride Pedicabs (504-488-6565) and NOLA Pedicabs (504-274-1300). Pedicab rates are mandated by the city, and a ride will cost you $5 for the first six blocks and $1 per block per person after that. 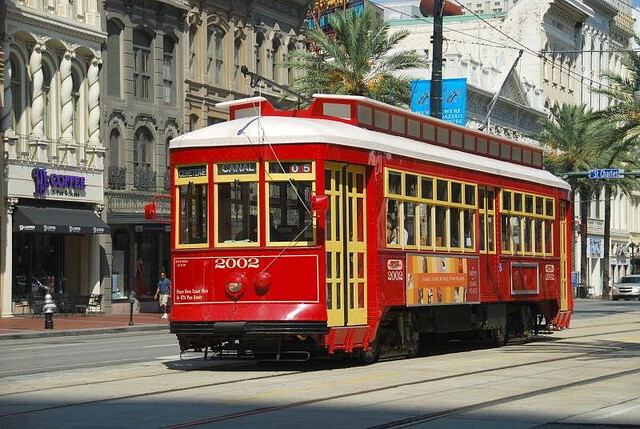 Taking a ride on one of the iconic New Orleans streetcars is a must for any visitor, and there are four main lines that all originate downtown near our hotel: St. Charles, Canal Street, the Riverfront and the Loyola Avenue/Union Passenger Terminal loop. The St. Charles streetcars are a historic attraction in themselves, as they are the oldest continuously operating streetcar in the world! Board one of the dark green colored streetcars at Carondelet and Canal Street and let it take you through the Central Business District, the Garden District and past the uptown universities. The red and yellow Canal streetcars offer two options: a direct route to the cemeteries or a trip to the entrance of City Park and the New Orleans Museum of Art. When boarding from Canal Street in the French Quarter, pay attention to the signs on the front of the streetcar for which option to choose. The Riverfront line offers easy transportation between the French Market and the Aquarium of the Americas and Riverwalk area, while the Loyola Avenue/Union Passenger Terminal loop makes it easy to get from the Amtrak train and Greyhound bus stations to the French Quarter. Taking the streetcar will cost you $1.25 per person, each way. You’ll need exact change, in cash, or you can purchase a Jazzy Pass in advance. When you’re ready to leave, ask one of our doormen to hail a taxi cab for you. If you’re looking for a cab ride back to Hotel Monteleone, calling a dispatch line or booking online is your best bet. United Cabs (504-522-9771) is the largest taxi company in town, but Nawlins Cab (504-522-9059) is a more recent addition which features online booking and a mobile app. Uber and Lyft are the newest additions to the transportation landscape in New Orleans. Use either service’s mobile app to request a ride, but be aware of price surges during peak times and popular events. There are a wide variety of companies offering tours of New Orleans for every type of traveler. City Sightseeing New Orleans offers a hop-on, hop-off double decker bus tour, complete with three free walking tours, which is a great way to get from the French Quarter to the Garden District and the popular Magazine Street shopping district. A number of local companies offer bike tours of New Orleans, and Confederacy of Cruisers and FreeWheelin’ Bike Tours are two of the most popular. 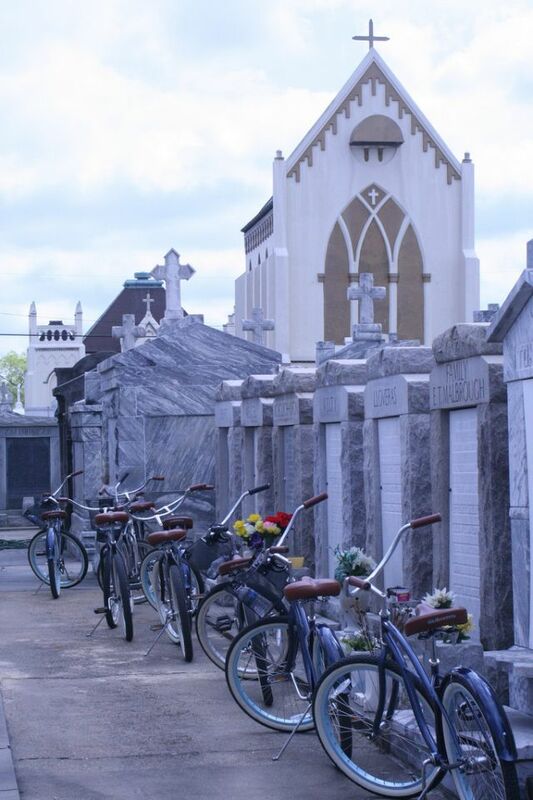 If you don’t mind a little physical activity, these bicycle tours can be a great way to experience neighborhoods outside of the French Quarter, like the Marigny and Bywater, Treme, and Garden District. Confederacy of Cruisers even offers a 9th Ward tour which features a stop at the St. Roch Cemeteries and Chapel. Looking to explore the French Quarter, but too lazy to do it on foot? Try a Segway tour instead! Whether you prefer to ride or pedal, our concierge can help you book the tour of your choice. Ready to visit New Orleans? Book your trip today, and experience all of the beauty and magic that New Orleans has to offer.